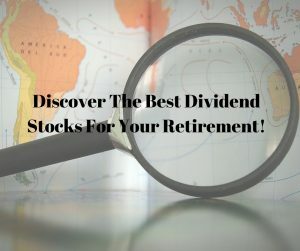 Discover The Best Dividend Stocks For Your Retirement! Listen up. I don’t care if you’re a brand new investor, or one well into retirement. You must understand the dynamics around investing in dividend stocks. If you don’t understand dividend stocks and the great investment yields they provide… then you’re MISSING OUT on one of the greatest investment strategies out there. Dividend stocks are one of the best ways to supplement your income… BEFORE and AFTER retirement. You’re never too young or too old to understand the importance of having dividend stocks in your portfolio. You should understand how and why companies pay dividends to their shareholders, and what the warning signs are when a dividend is at risk. 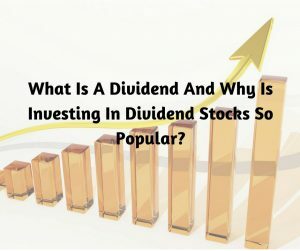 There are also, believe it or not, different types of dividends you can receive – like cash dividends or stock dividends. Knowing the difference is key! But, most importantly you must understand the overall impact of dividends on your portfolio. When investing correctly, dividend stocks can provide huge gains and propel your account up by millions! Below I’ll even tell you about a 514% gain that savvy investors scooped up in just a few years. Knowledge is truly the difference between eating prime rib – or dog food – in retirement. Most investors don’t realize the huge impact dividend stocks and their dividend yields can have on investment or retirement accounts. 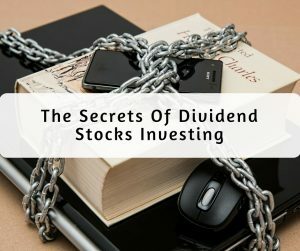 Here at DividendStocksResearch.com we’re such big believers in dividend stocks that many of us hold some of the best dividend yielding stocks in BOTH our retirement and investing accounts. Dividend stock investing isn’t for the impatient. With Dividend stocks, grabbing a high yield is only a good thing when you have time and patience to sit back and let your money work for you. There are some dividend stocks that pay out once a year. Other dividend stocks pay out quarterly. And believe it or not, there are monthly dividend stocks… some of which have high dividend yields. We’ll get into all those details in a moment. What Is A Dividend And Why Is Investing In Dividend Stocks So Popular? Just to keep it simple, when you buy a stock, you’re buying part ownership in the company. Often companies that pay high dividends have fat profits that they want to return to their owners. The dividend is a payout of your portion of the income from a business. Now there are other types of dividends, like stock dividends… and sometimes companies will spin out divisions or parts of the business by giving new shares to stockholders (often times these are considered dividends). But let’s not bog ourselves down with details here. For now, all you really need to know is a dividend is a payment shareholders receive from the company. Remember dividends are payments from a company to a shareholder. Some companies pay dividends yearly, quarterly, or even monthly! And that means a regular check that you can take to the bank. It’s money you can spend any way you want to! If you accumulate enough dividend paying stocks, some of these checks can get pretty big! Often times, these dividend payouts can replace an investors entire paycheck! Imagine that… just for waking up – you get paid. Your money is working for you… you’re not working for your money. This steady stream of income from dividend stocks is just one of the reasons dividend stock investing is so popular. Another comes from the frequent dividend increases many companies offer. That’s right… a lot of dividend paying companies increase their dividend payout every year. It’s like a pay raise for doing nothing! Is Investing In Dividend Stocks Safe? While it’s great to grab fat dividend payouts… you’ve got to be careful. Just because a stock pays a dividend doesn’t make it a blue-chip investment. For example, companies can often stagnate… and dividends can remain flat for years. Or worse, if a company hits a rough patch, dividend payouts can be cut. In those situations, not only does the dividend yield falter, but the stock price can also suffer… compounding bad yields with a falling stock price. And that’s never a good thing. You’ve also got to be careful which how much of your portfolio you put to work in individual dividend stocks. This is a classic case of NOT putting all your eggs in one basket. Remember there are market cycles and some investments react better than others. Diversification when it comes to investing in dividend yielding stocks should be your mantra! 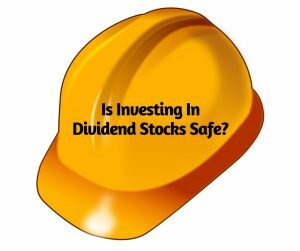 So, in a nut shell, YES dividend investing can be safe if done in the right ways. But if done wrong it can have disastrous consequences. From time to time we’ll be publishing articles on investing safely in dividend stocks. To get these future articles sign up for our free Dividend Stocks Research newsletter. If you sign up for Dividend Stocks Research right now, I’ll send you a free gift! And you’ll get my weekly articles showing you the safest high dividend yielding stocks out there. This is your chance to get more information on the safest dividend stocks. How Does Dividend Stock Investing Work? Investing in the best dividend stocks is simple… but not easy. You don’t just start throwing money at any dividend stock you find… nor should you just start investing just because you found one with a high dividend stock yield. That’s a way to watch your money go nowhere fast. The real key to successful dividend stock investing is to focus on the future. Look at the major LONG TERM TRENDS that are appearing in the markets… and more importantly within industries. For example, the new “fracking technology” has been a huge driver of growth in the energy industry. In the automotive industry it’s all about “electric vehicles”… and in technology “cloud computing” is a big long term trend that should continue for a while. All of these trends should last for a decade if not longer! But don’t you dare start buying anything yet. After you find some great dividend stocks, you’ve got to put them through the ringer. Other people call it due diligence, or research… I call it the ringer. Because it rings out the bad investments one at a time. To properly analyze dividend stocks you’ll want to look at future revenue trends, the movement of key expenses, and track margins. You’ll want to find the best dividend stocks with the best earnings… but also understand the importance of cash flows. Finally looking at payout ratios and making sure the ratios aren’t too high. This analysis is critical. Only then can you analyze the value of that high dividend stock… and look to see if the dividend yield is strong enough to warrant an investment. There’s a lot that goes on in researching dividend stocks, and you don’t want to miss that one investment detail that could derail your dividend yields. Now before you go crazy with all these details, keep in mind that I’ll be talking more deeply about all of the different types of analysis you need to do on the best dividend stocks. These techniques will be discussed in detail at Dividendstocksresearch.com. 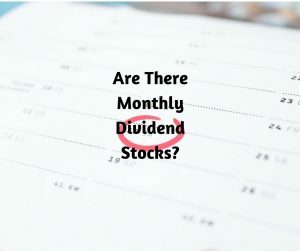 If you sign up for the Dividend Stocks Research newsletter right now, I’ll send you a free gift and you’ll get access to critical information on how to do your own analysis on high dividend yielding stocks. Get more information on the best dividend stocks. 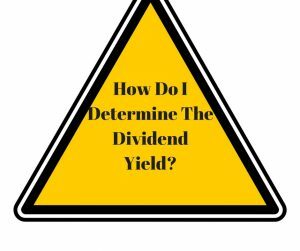 How Do I Determine The Dividend Yield? One of the keys to investing in dividend stocks is the dividend yield. I’m glad you asked… the dividend yield is simply the ANNUAL Dividend Payout expressed as a percentage of the stock price. For example if Exxon Mobile (XOM) pays a dividend… and right now the XOM Dividend is $0.69 per quarter. So to calculate the XOM dividend yield is easy – you multiply the quarterly dividend by 4 to get the annual dividend. $0.69 x 4 quarters = $2.76 Annual XOM dividend. So that’s what you will get paid every year just for owning one share of Exxon Mobile (XOM) stock. Well this is where the dividend yield calculation comes into play. To calculate the dividend yield you take the annual dividend and divide it by the stock price… what one share of stock is worth today. So we already know the annual XOM dividend is $2.76… and with a quick bit of research we know today’s XOM stock price is $96.70. So divide the $2.76 by $96.70 and you get 0.02854. Just multiply that number by 100 to see it as a percentage… and you get 2.85%. So if you buy XOM stock today, you get a dividend yield of 2.85%… assuming the annual payment stays the same. This is where experience and market knowledge come into play. You know the dividend yield on XOM is 2.85 %… how does that compare to other investments? I found the current interest rate yield on the US Treasury Department Website. So XOM pays a little bit better return… but the US Treasury has something going for it – safety. You don’t need to worry about getting paid back… the US Government always pays its debts. You’re 100% safe for the return of principal with an investment in a government bond… but XOM has an advantage too… DIVIDEND GROWTH! XOM has the potential to grow its business over time. And that holds the potential for bigger dividend payouts over the years. Treasury bills never grow their payouts. 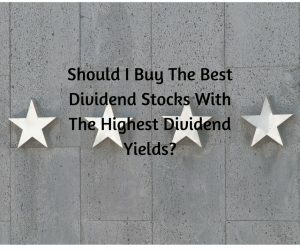 Should I Buy The Best Dividend Stocks With The Highest Dividend Yields? Let me warn you… it’s risky thinking. Stretching for slightly better dividend yields can be a good thing… but you’ve got to be careful not to overreach. You see… some dividend yields jump up just from the stock price getting crushed! Let’s look at our Exxon Mobile example. Just imagine something horrible happens at Exxon and the company’s future is called into question. It’s not likely, but just imagine it for a moment. The stock price would plummet and the yield would skyrocket. Let’s pretend the stock price falls to $10… what does that do to the yield? But to me… and to other smart investors out there, a dividend yield this high is a red flag. As a matter of fact, any dividend yield over 5% is a red flag in my book. It’s a sign that the stock price is down significantly and that there might be something wrong. It tells me the dividend might be in jeopardy. Remember dividends are never guaranteed, they can be changed at any time… both up and down! So if you want to buy dividend stocks with high dividend yields, this is your warning – tread lightly… it’s a potential mine field. Now that being said, for the experienced investor, there are opportunities to make a killing with high yield dividend stocks! I once bought a stock with a dividend over 28% – scary I know… but I was willing to take the risk and it paid off huge! When all was said and done, we made more than 514% from the dividend and the growth in the stock! By the way… I owned the stock less than two years. Not a bad way to make some money if you ask me! So if you do it right, there are opportunities in high yield dividend stocks for huge gains. Are you looking for big gains with dividend stocks? Well I can’t promise you 514% returns every time, but if you sign up for the Dividend Stocks Research newsletter you’ll be one of the first to get my best ideas! If you sign up for the Dividend Stocks Research newsletter right now, I’ll send you a free gift AND you’ll be on the list to be one of the first to get our best dividend stock ideas! Get great information on the best dividend stocks. Are There Monthly Dividend Stocks? You already know that many dividend stocks pay quarterly… but did you know in many companies (even foreign ones) pay dividends annually! Some of the best international dividend paying stocks are traded overseas… And they have an entirely different way of thinking about dividend payments. There are a number of risks with foreign dividend payments too. These risks include currency fluctuations, changing payouts, delayed payments, and even tax consequences… just to name a few. So, before you run out and buy that international dividend stock make sure to educate yourself! Now in the United States, most dividend stocks make their dividend payments quarterly. Every 90 days, normally when they announce their quarterly results, the board will vote on the next dividend payment. However, there are a handful of companies that pride themselves on making more frequent payments. They cut dividend checks monthly! There’s a handful of dividend stocks that make payments to shareholders every month… and as you can imagine they are very popular with retirees! 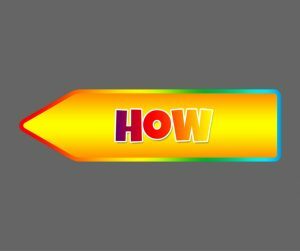 Think about it… a dividend payment every month… it’s like getting your monthly paycheck without having to work! Are the monthly dividend stocks better than dividend stocks that pay quarterly? It depends on the value of the business, what the future prospects look like, and the stability of the payments. In the right situations, I can see a monthly dividend stock being better for your portfolio than one that pays quarterly… but it depends on the situation. If you’re looking for the best list of monthly dividend stocks, look no further. Every so often, we publish a list of the top monthly dividend stocks! But it’s available only to subscribers to our Dividend Stocks Research newsletter. Don’t worry though, a subscription is FREE! If you sign up for the Dividend Stocks Research newsletter right now, I’ll send you a free gift AND you’ll get access to our best dividend stock ideas! Get more information on the list of monthly dividend stocks. The problem is, I don’t have the time or the room here to get into the details around all of the best dividend stocks for 2018. But I did put together a free report with my top three selections. I’ll send it to you free as a gift… when you sign up for the Dividend Stocks Research newsletter. If you sign up today, I’ll send you the report… and a whole wealth of information on investing in the best dividend stocks. 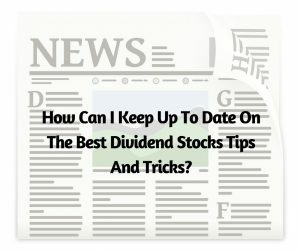 How Can I Keep Up To Date On The Best Dividend Stocks Tips And Tricks? So now we’ve reached the end of our journey. We stared with understanding what a dividend is and why dividend stock investing has become so popular. We touched on the best ways to keep your dividend stock investing safe, as well as how to look with a critical eye at dividend stocks. We explained dividend Yield and the important role it plays when looking at investments. Finally we talked about the “Best Dividend Stocks For 2018” – sign up here to get that Dividend stocks report, free. As you can see, dividend stocks are a safe and smart investment for people who need dependable income – before and after retirement. But there is always the question of which dividend stocks are the best investments. the added benefit of a rising stock price? AND, which stocks are simply too expensive? How aggressive can you be going after a high yield without getting in trouble, and how can you build a high performing portfolio of dividend stocks by balancing yields? We’re going to try and answer every question you have about dividend stocks. Because, our goal is simple… To make DividendStocksResearch.com the single most useful and trusted online resource for dividend investors. If you’re looking for up to date information on these or other dividend related questions, including the best dividend stocks tips and tricks, sign up now for our free newsletter and be the first to get our best ideas!